There has been big Ultima news in the last couple of days with the release of Ultima Forever for Apple devices. 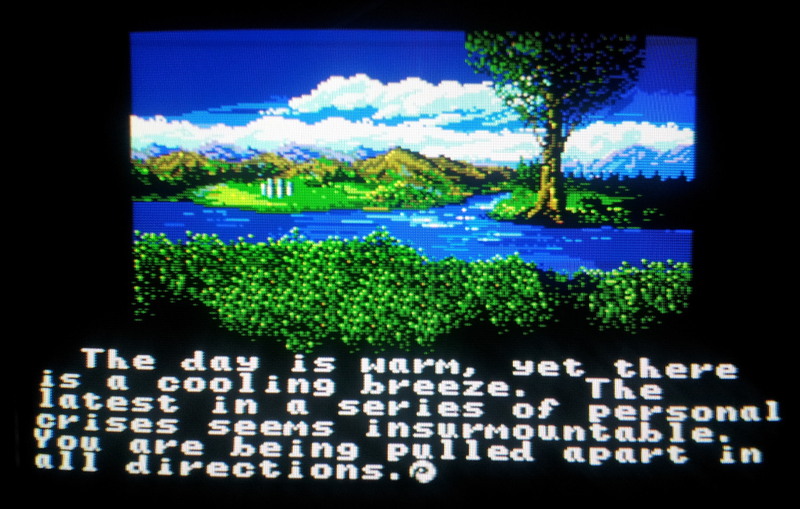 If it was out on Android as well I’d be playing it right now but instead I’ll settle for it’s spiritual predecessor which is Ultima 4, this time on the Sega Master System. Sega consoles were never exactly well represented in the Origin catalog and off the top of my head I can only think of one other Origin game that got a release which was Wing Commander on the Sega CD. 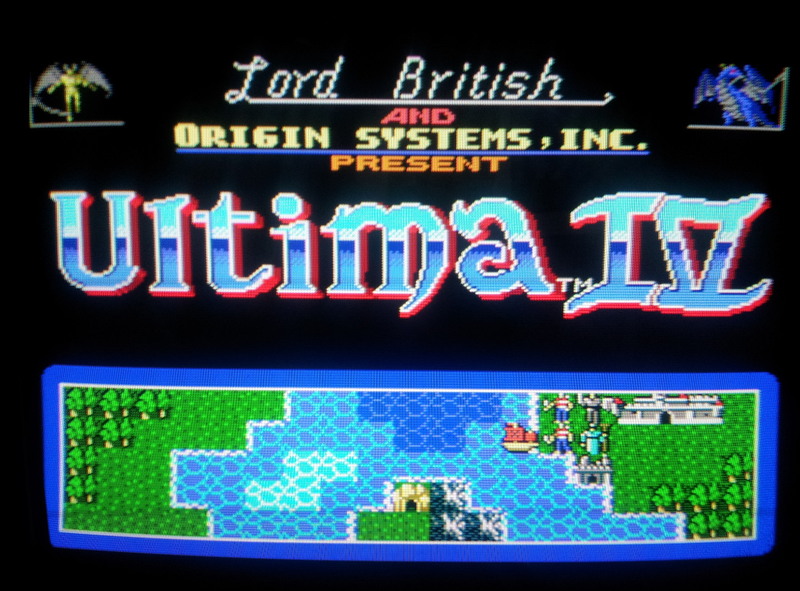 SMS Ultima 4 was ported by Sega themselves and came out in 1990, 5 years after the original. It was the last official port of the game on any platform other than the FM-Towns. The packaging is the usual sturdy plastic case used for SMS games. It came with a booklet and paper map, neither of which are in the copy I’ve got but excellent scans can be found at SMS Power. The manuals are basically smaller versions of the Apple II originals which is in stark contrast to the NES game which included a full guide to beating the game. I’ve played 3 Nintendo Ultima games so far and for all their good and bad points it’s fair to say that they have been a departure from the original source. Right from the start it’s clear that this isn’t going to be the case on the SMS and it is as true to the original as is possible. The graphics are a huge leap forward however and arguably better than those on the PC VGA patch. The original music is used throughout which is great for the traditionalists among us. The full intro is present and looking as good as on any system I’ve played the game with the virtue cards being especially clear and colourful. I go for my usual route of playing a fighter which should help to a degree in the early stages. Ultima 4’s myriad of key commands have been compressed down to a menu based system which is intuitive enough to use if a little slower. 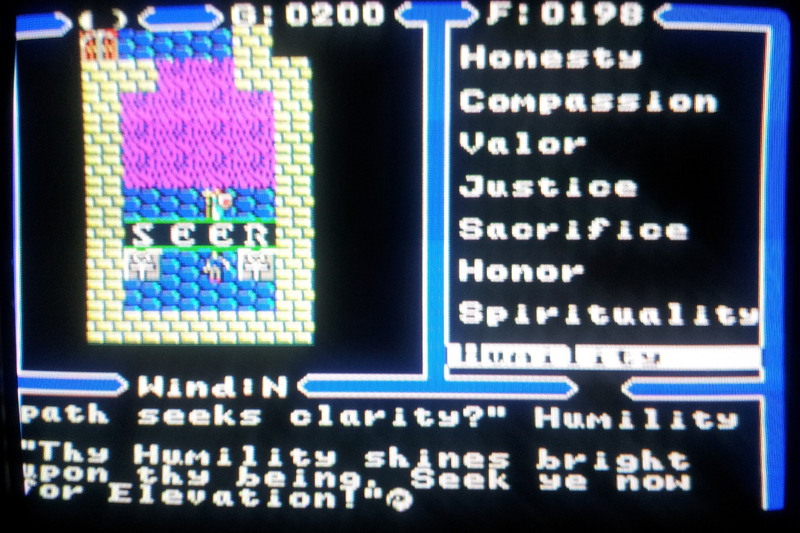 Conversations are handled in an Ultima 7 style with a selection of keywords where I’m not allowed to ask about anything I’ve not learned elsewhere. This is going to force me to play the game properly learning every clue and mantra which will be a novelty. As far as I can see, every conversation and person from the original game is present and correct and any differences if they are there are minor. I may be forced to relearn all the mantras and clues but a little prior knowledge still comes in handy in this game and I’m soon collecting all the things I need to win the game. I briefly grind away on one of the guard conversations raising my humility and I’m ready to gain partial avatarship in that virtue in next to no time. This appeared to be way, way easier than on the PC version as I only went through the conversation maybe ten times. I have far less luck trying to raise my sacrifice by gifting gold coins to the beggar in Britain which curiously has no effect at all. I’ll have to try some alternatives. 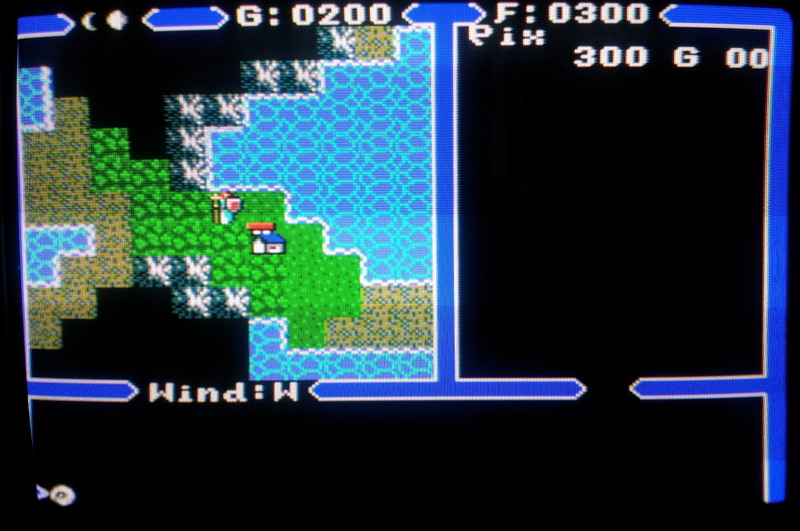 Combat is where the first real change to the gameplay shows up as it uses the same system as Ultima 5 with attacking on diagonals allowed and any angle of attack using a range weapon. This does have the effect of slowing things down and it could potentially be worse in that regard than PC Ultima 5 with the option menu adding in an extra delay. The menu does default to attack which is going to be the most used command but with the hitch that it often makes strange choices on which monster to go for after this. The game really does love to select monsters that are out of range which may not be a problem when I get my party fully equipped with bows but is an issue right now. With a party of 8 I have concerns that combat could end up being extremely slow and I’m tempted to try to keep my party size down. 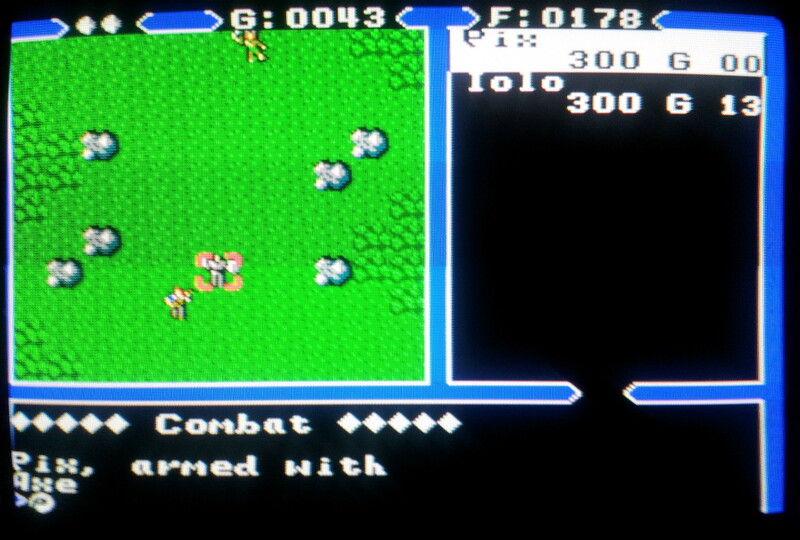 The combat is definitely not easy and starting this game is proving to be tricky. 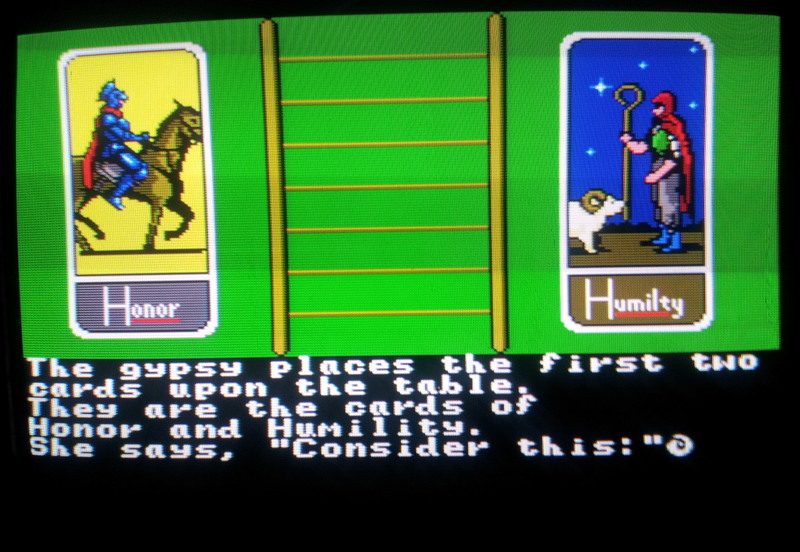 After breezing through NES Ultima 5 I think I’ve got a little too used to being mollycoddled. Here I’ve died numerous times already and really should be hanging around Britain taking advantage of the free healing and trying to raise funds for some decent equipment. That will be the next job on the list as so far I’ve just been getting ahead of myself running around the world exploring the towns. I’ve not played for long yet but I’ll probably not have a huge amount to say about this port even when I have with it being so unchanged. It could well be the best version of the game I’ve played depending on how the dungeons work out but I expect it will require quite some time to play through. Given how well the few that were ported turned out, you have to wonder why so few Origin games made it onto Sega consoles. 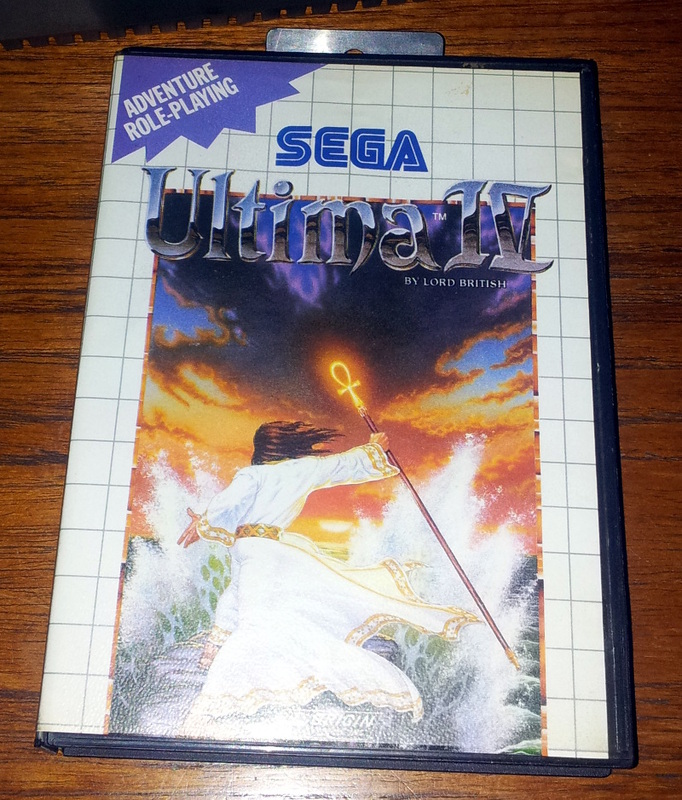 Ultima 4 did come out relatively late in the SMS’s lifespan which certainly won’t have helped sales. It’s 1990 release was long after the Genesis had become available in the USA in January 1989 and the NES had been dominating the market prior to this. The SMS had far more of a market base in Europe though and since us Europeans had to wait nearly two years more than the USA before the release of the Megadrive this will have been a large factor in SMS Ultima 4 mainly being sold in Europe and relatively few copies ending up in the USA. Word of warning. If I remember correctly, this version is glitched. 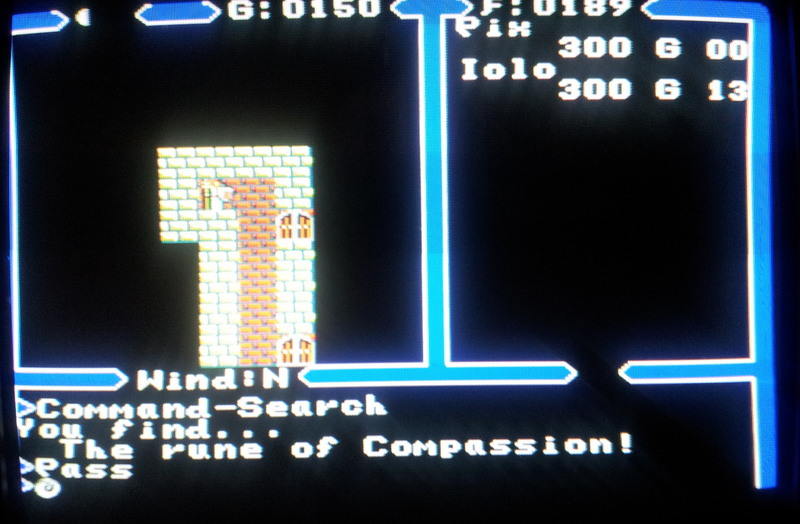 Towards the end, in one of the dungeons, it will be impossible to proceed without modifying your save game. If you play on an emulator, you can modify the save game in order to continue playing. I could be mistaken, but I seem to remember this coming up a few years ago on one of the Ultima forums. I don’t like the sound of that. I’m playing this on my Megadrive but I am using a flash cart since I don’t have the master system adaptor. In theory, that should mean I can modify my save if I need to although it’s not something I’ve tried before. Late to this whole discussion, but when I beat this version of the game back in 1991, I never had to modify any of my save-files or anything like that — apparently this glitch only pops up in certain copies of the game, or else I played in such a way that I didn’t actually trigger the glitch (I live in the U.S., playing a copy purchased from the Ultimate Game Club through Sega of Canada, I believe it was). I don’t remember it being buggy at all. 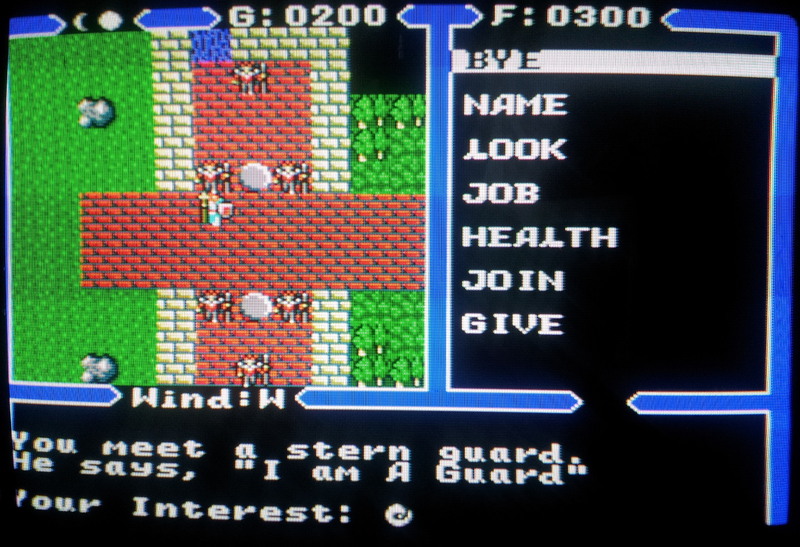 This was the first version of Ultima IV I played and I remember playing it from beggining to end without problems. I can’t imagine it would have sold well in Europe. Adding to the late release is the fact that it’s on a console in the first place, where RPG’s (Especially Western RPG’s) never sold well on consoles outside of Japan. I would also add that Europe in particular never saw good sales of RPG’s even on computers of the time. From everything I’ve read on the European market at that time, they preferred console style platformers and arcade ports. I’ve gotten into it with some of the European Amiga users on YouTube that have bad things to say about America not buying enough Amiga’s. When looked at properly, it was not a failure in America. Computers period were not huge sellers in that time, consoles sold much more. The high price of PC’s insured that the Amiga did indeed sell here, just not as much as Commodore would have liked (much of that blame lies with them). But it competed with other computer brands and saw plenty of games being released for it. They say “oh all these great games didn’t come out in U.S.” and I say, “I was there, even after Commodore went under, there were computer shops dedicated to the Amiga where shelves of new and old games as well as applications were being sold. Games not being sold here was a market thing, not a user base thing. There was not an RPG, Strategy, Simulation, or Adventure game that was not released in America on the Amiga. Because in America, that’s what the much older and much more intelligent user base liked. This is a complaint I have when many YouTube users claim American’s were “too stupid” for Mario 2 or JRPG’S on the NES. Untrue. American NES users were CHILDREN! Of course they were too stupid for RPG’s or the more tricky platformers! They label it as “All American’s were stupid, that’s why they didn’t buy Earthbound etc.”… RPG’s were among the top selling computer games in America, we invented it. History is being re-written on YouTube because they don’t take the time to look at the market. JRPG’s in my opinion are EXTREAMLY easy… They are linear, point you every step of the way, and the combat is much easier… They do have much deeper story I have to say… But American’s loved their RPG’s, children however, did not. Europeans from what I’ve read were not buying them on any platform at that time… So it is strange it came out over there. The Amiga users in Europe were much younger and had much less money. Which brings me to my final point, from what I’ve read games that were not cheap did not sell in Europe. Europeans were still buying tapes for their Commodore 64’s up to 94′. In America we bought games that were big and required saving, and they sold for large price tags! $50-$80 at that time. Even on consoles they sold for that much! In Europe if the prices were not low many games were just passed by. So I do find it strange it got a release. Poor sales of these games would have killed Origin’s desire to spread their games to other systems I’m sure. But it looks like a great port! But I know in America, adults did not touch consoles. My family had the NES, Geneses, Amiga, and in ‘95 we got a Windows PC. My dad played the Amiga and the Windows machine… There was one casino game he played on the NES and a couple sports games and Pirates Gold ($80) on the Genesis. He was not interested in anything else on those machines. I played everything and thus loved everything! Unfortunately many of the best/top selling games of that time are completely overlooked by modern reviewers because they were playing on consoles when they were kids. All you see on YouTube are platformers, even when they review computer games… I wish more adults at that time would come onto YouTube and set the record straight. But we’re talking about people that were in their 20’s-40’s at that time and now are in their 40’s-60’s… Not going to see too many in that age group start a gaming channel on YouTube. You’re fresh air looking into these games and overlooked ports. Even if the ports are mostly the same, it’s great to get a perspective on them. Do you feel it’s kind of limiting to only focus on Origin games though? I would definitely be interested in your thoughts on other games outside of Origin. It’s curious how different the UK market was compared to the USA in the 80’s with computers very much the thing to have over here. I expect a lot of it was the British governments push for computer literacy at the start of the 80’s. Parents expected their kids to be able to learn something, not that many of them did of course. It was certainly all Spectrums and C64’s when I was growing up + BBC’s in every school. I honestly didn’t know anyone with an Atari, NES or Master System but there must have been plenty of them around a few years later as they are easy enough to find still. 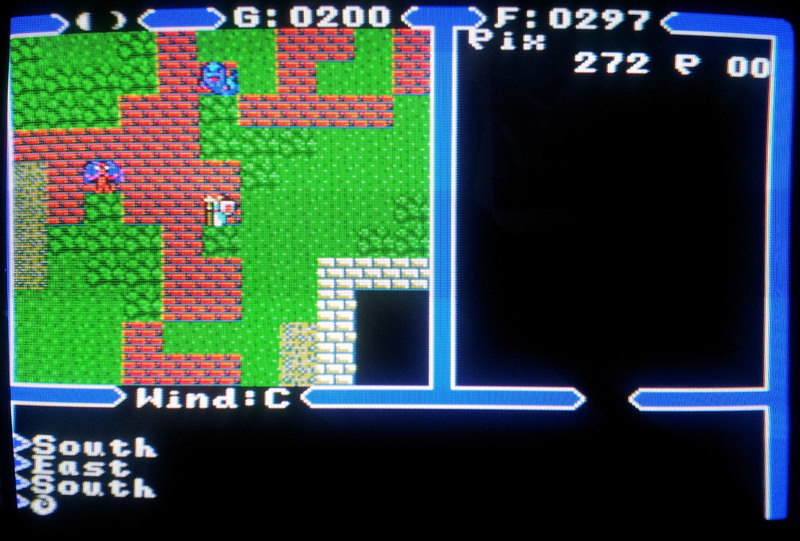 SMS Ultima 4 sold well enough over here to be reasonably easy to find although complete copies are few and far between. I expect you are right that it wouldn’t have done as well as hoped. I wouldn’t have been into RPG’s myself at that age so I fit your description well enough. I found my way to them a few years later through first person dungeon crawlers beginning with Ultima Underworld. It definitely is limiting to only do Origin games although it does have a certain appeal from my point of view. Having said that I’m about two weeks off the 5 year anniversary of starting this blog so it could be time to shake it up and throw some random games into the mix. I certainly have a ton of old RPG’s and adventure games I want to play through and I may never get around to them at this rate. I’d probably stick to DOS games for the most part if I were to do this although I’ve been accumulating retro systems at an alarming rate recently so there would be some variety. There could be some extremely random games if I just write about whatever is catching my attention at any given time although I’d enjoy doing it and I’d be posting far more often. If that is something people want to see then I might just take you up on the idea. Any opinions on this are definitely welcome. You meant that bug, well, I don’t remember if it was on the sms version because at the time that was my first version of u4 and I couldn’t compare, but if you can use up, down and exit then it’s not a game stopping bug. I don’t think Pix would have much problems with that one. I wish to buy you the beverage of your choice Chris. A damned good post and damned true. For me as a teenager my C64 was mostly RPGs and Microprose Flight Sims while the easier RPGs and action games were mostly the domain of my Genesis and NES. I had a NES before the C64 but games like Ultima 1 played in 88 when I was in 8th grade are what really made me a gamer. Not Super Mario Bros or Kung Fu or anything like that. The Amiga and ST mostly died in the west due to Tramiel family shenanigans plus almost zero marketing. I recall ONE Amiga TV ad. EVER. One time. Once. Add in PCs somehow taking over in spite of being overpriced and underpowered as a home machine and well..
And here in the US we were better off buying a Genesis than an Amiga. Most of the action titles appeared on the Genny and played faster and better thanks to 3 (later 6) controller buttons plus Start. In 1990 you could play Populous on an Amiga for 700+ dollars plus game, (Dunno if you needed 1meg for Populous meaning another 50-100 bucks. Plus at least 40 for the RF modulator.) 1K+ for a VGA PC, or.. 190 for a Genesis. For kids and teenagers the consoles were the best bang for your buck. But the Amiga did offer a lot of things consoles couldn’t touch. The two were pretty similar hardware wise, but I’d never want to play a game like populous with a controller. Got to have the mouse. Plus that one came out on the Amiga first and thus was optimized for it. People did buy computers in America and they did buy Amiga’s and C64’s, it was just a certain kind of person that bought them. A nerd! A C64 would have been a poorer nerd if bought in the late 80’s, an Amiga would have been a nerd with a little cash, and a PC would have been a rich business user wanting the same at home, or a stupid rich nerd! – Actually I think the rise of PC’s over the Amiga had more to do with the people that did not know anything about computers. There were few TV ad’s… But the Amiga was in magazines at the time, the U.S. had a few Amiga/Commodore magazines. My dad had a huge collection of them which I’m sorry to say has mostly gone to the trash 🙁 But people interested in computers would have known about the Amiga through magazines. People that didn’t know anything about computers were not helped by Commodore to show what they were missing. Computers were such a niche thing in the 80’s and early 90’s so sales were not huge for anything. It wasn’t until the late 90’s when everyone in the U.S. had at least one computer in their house. I think a lot of suckers were easily convinced to go the PC route and pay extra money thinking they were getting better quality. Few loved their generic sounding IBM compatible computer… People LOVED their Commodore 64’s and Amiga’s and Atari ST’s, Apple II’s Etc. That’s not just because they were quality machines, it’s because nerds used them! And since they couldn’t find a girl to fall in love with they fell in love with their computer! And they still use them!!! I still play on my actual 64 and Amiga. Even the NES and SNES and Genesis which many love, do not approach the love that people share for those computers… And there were far fewer users of all those machines COMBINED when compared to a console. Nerds being a very different user wanted different games. Ports are a funny thing, some are good, some are not so good. But I understand why many platformers were not ported well to computers. It wasn’t because they were slow or couldn’t handle them, it’s because there was less of an excuse to give a crap because few people would buy it (even factoring in European sales they wouldn’t compete with console sales in America). Yeah Ghosts and Goblins or Castlevania were not good on the Amiga… But neither the Genesis nor the SNES could handle Civilization well! When these large games were ported to the consoles, the limitations of cartridges really showed up. – Though there were many good unique platformers on the Amiga. Fire and Ice has become one of my favorite games for it. But yeah you’re absolutely right… When you have a kid screaming “DAD GET ME A NINTENDO!! !” and the parents aren’t interested in computers you’re going to get one of three things… 1. They will either say get a job… 2. They will buy the MUCH CHEAPER console and appease the kids… Or 3. They will think “I’d rather have them learn too, not just play games”… and because they don’t know anything about computers those people would buy a PC… (In Europe this tactic was good at getting computer sales because adults who didn’t know about computers wanted their kids to have one) In America only nerds bought computers though. You make a good point on if the person already had an 8 bit machine then they would be less likely to upgrade. My dad got an Amiga 500 in 87 (first year they were out) because I had accidently pushed the 64 off the computer desk… He just upgraded rather than fix it. But he was a nerd so I think he was already very interested in it, and would have eventually gotten one. But I’m sure many people having already invested a thousand dollars into a C64 and its disk drive and monitor back in ’82 would be reluctant to fork over the same for an Amiga. That is the same thing I bring up when people bash the Amiga after VGA came out. Number 1: The Amiga did just fine with its palette. Number 2: It took years for the PC market to catch up and have their own people upgrade their machines. When you spend 4,000 dollars on a machine you’re even less likely to want to upgrade! They were still making CGA/EGA games into the mid 90’s… VGA was not the death of the Amiga. It was just a sign that NEW PC users were catching up, but MOST were not. It was a fantastic machine that was a great value. The C64 while legendary for its longevity was really showing its age by the late 80’s. Terrible mouse support, a non standard keyboard layout, and 16 colors were really limiting. I doubt the 128 could have ever been a success… The Plus 4 had more colors. I think Commodore should have given up on the 8 bits and tried their damndest to make the Amiga a success. There is something about a computer from back then. You were required to read the manual to understand what to do. I never read any manuals for the console games. Those manuals were HUGE by the way. A flight sim manual practically taught you how to fly the real thing! A-Train, Sim Ant, RailRoad Tycoon, Civ… These manuals were huge! Some of those games took a real year of your life to finish. Some had infinite replayability because every new game was different. Console games were much shorter and required you die a million times and memorize how not to die… They were about reflexes and memorization. While I do enjoy a lot of those I completely understand why many adults did not. I find platformers I have never played before to be extremely tedious now. They say kids don’t have patience, that’s not true. Kids get frustrated easily, but they have patience. As a kid playing Mario and only getting maybe 4 new NES games per Christmas/birthday you only had a few to choose from. So you played it… Died… Died… Died… You screamed… You yelled… But you played it more… And eventually you beat it… And it’s a cakewalk doing it now. But as an adult trying one I hadn’t played then, It’s so hard. I can’t stand dying over and over again… Adults don’t have patience, but they don’t get frustrated. We don’t scream… we just turn the game off. I think the Amiga was the best overall bang for your buck late 80’s to mid 90’s. Music, graphics, games, and utilities… And while most people did play games, nerds did have a few utilities. A good word processor would cost over $150. One program was as much as a console! But they were incredibly useful and for those that could be bothered with that or another application had something special compared to a console. Nobody cares about the applications now because they’ve all been upgraded to better things, while the games remain unique. But back then magazines devoted as much time to applications as they did games! Some programs like Deluxe Paint are STILL BETTER than some new programs. It still beats the built in Windows Paint. To get in on the console wars, I’d also say the Geneses was the best bang for your buck in that arena. While the SNES did have better graphics and sound in most cases… It was more expensive, the graphics on a SMALL CRT TV with INTERLACE showed practically no differences, and the SNES had lower resolution which for some games made it terrible. The SNES music blows always any FM from the Genesis… But the Genesis could also do MODS like the Amiga… Some games like Sonic I think blow away the SNES. And the Genesis had a much faster processor… I say the Geneses wins myself. This is an absolutely fantastic port of Ultima IV, quite possibly the very best home-console port of any mainline Ultima title ever made (I’d rank the SNES version of Ultima VI: The False Prophet right behind it, mostly due to some of the content-cuts). Not a thing from the PC version is missing in this port, and although the dungeons are now 2-D overhead (instead of 3-D first-person), they still follow the original PC floor-layouts precisely. I remember playing this version after already having beaten it on the Apple II, and using my PC cluebook and Official Book Of Ultima maps, and they lined up flawlessly. My guess as to why the 2-D change was made is probably due to the first Phantasy Star game also then-recently having been released on the Sega Master System, and being possibly the most graphically-advanced video game in the entire world at that moment, Sega undoubtedly felt like bringing the PC version’s 3-D dungeons over intact would appear lackluster in comparison. Hence, the redo in 2-D. But man, as a 4-megabit cartridge, Ultima IV was part of that whole Murderer’s Row of great RPG titles on the Sega Master System back in the late ’80s/early ’90s (Phantasy Star, Ys, Miracle Warriors, Spellcaster, King’s Quest I, etc. ).